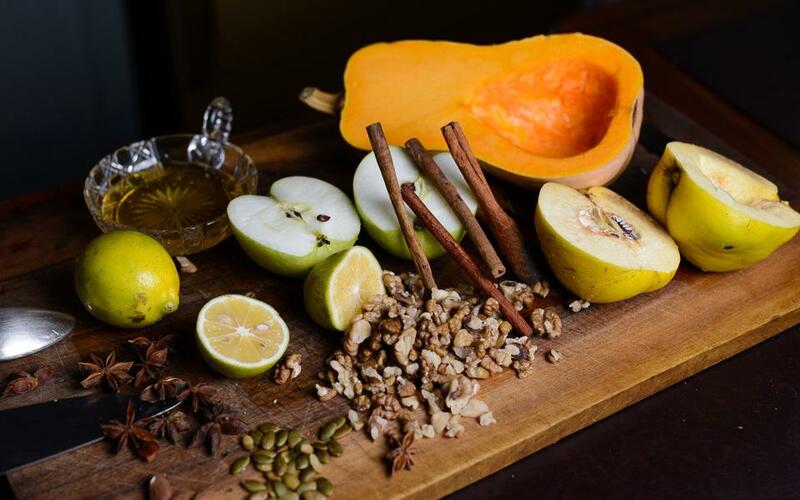 Cut the pumpkin, quince and apple in a half. 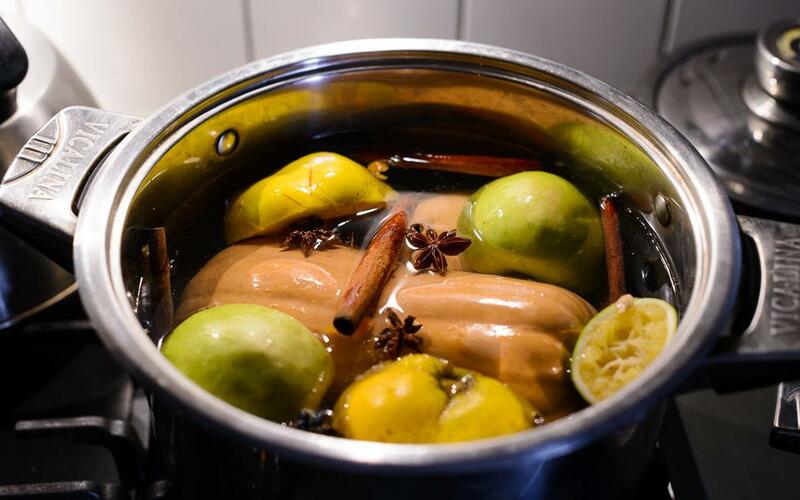 Put in a pan with cinnamon and anise, boil for 20 minutes. Remove the apple in 10 minutes. Place on a roasting pan, pour in butter and honey, leave to bake for 15-20 minutes, the temperature is 200 degrees. Boil honey (100 gr.) 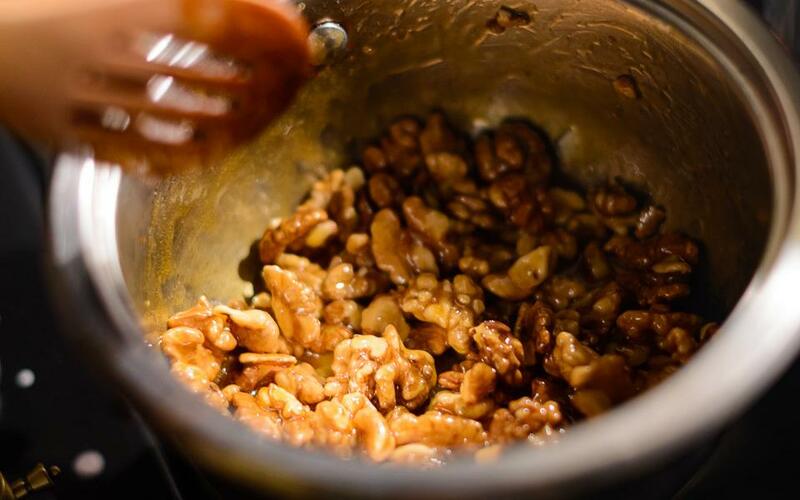 for 5 minutes, add walnut, almond and lemon juice. Let stand for another 2-3 minutes. 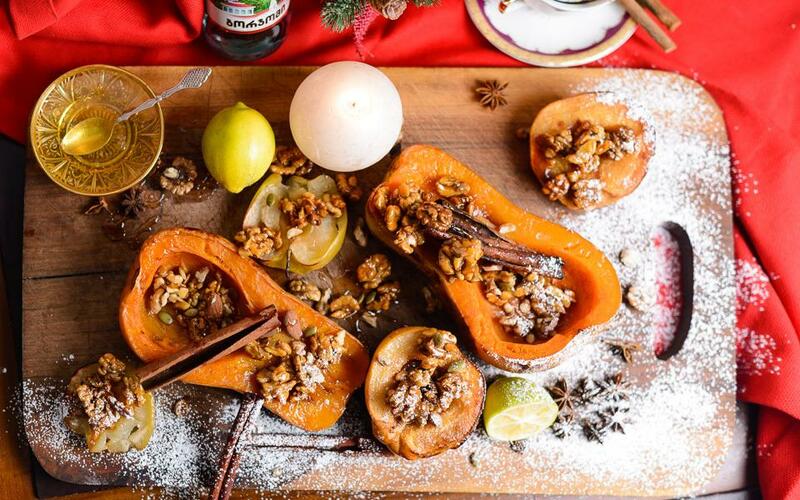 Place the stuffing on the pumpkin, quince and apple. Sprinkle with powdered sugar. It is best to enjoy dessert when it cools.